TRENTON-- Ladies and gents the mayoral and city council races are now things of the past. Indeed, the ballots have been counted, the parties have been had, and lo and behold, Tony Mack's era has finally ended. 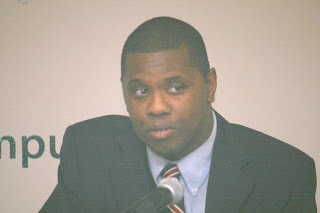 Mayoral elect Eric Jackson takes the throne July 1. 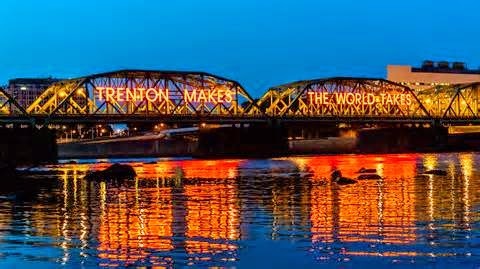 It's a new day in the city of Trenton, or at least, we would hope so. To be sure, the last thing Trenton needs right now, is politics as usual. No more corruption. No more pay-to-play politics. We need elected officials that uphold the highest degree of ethical standards. Alas, the city cries out for a new brand of leadership. A brand of leadership that knows how to honestly acknowledge the peaks and valleys we face, but still has a bold and compelling vision to get us to the mountaintop. A brand of leadership with a practical step by step plan to make things better. A brand of leadership that knows how to enlist the help of others. A brand of leadership that solicits the thoughts and ideas of the people to make the overall community better. I sincerely hope that Eric Jackson and the new council members will demonstrate some of these qualities of leadership. Lord knows we need them to. Yet at the same time, we as everyday citizens have a responsibility to play here. We bear the responsibility of holding our elected officials accountable for their action or inaction on issues that are matter to us. Indeed, we cannot sit idly by while our great yet beleaguered city crumbles. I know its hard to stay involved and engaged in the everyday politics of our city, please believe me, I know, I work two jobs, and go to school, so I hear you. But we as everyday citizens can be leaders in our own right as well. We can set a positive example by simply going to work everyday, taking care of ourselves and our families, voting, reading, staying active, etc. There's no reason we can't be a part of the solution. I know what you may be thinking, I don't know where to start, but trust me, there is wisdom and truth in the saying that even a thousand mile journey always starts with the first step. My first step may be volunteering, your first step may be mentoring a child. Another's first step may be cleaning up their block once a week. The options are endless, but I hope you get my underlying point which is to say that the choice is yours and mine.